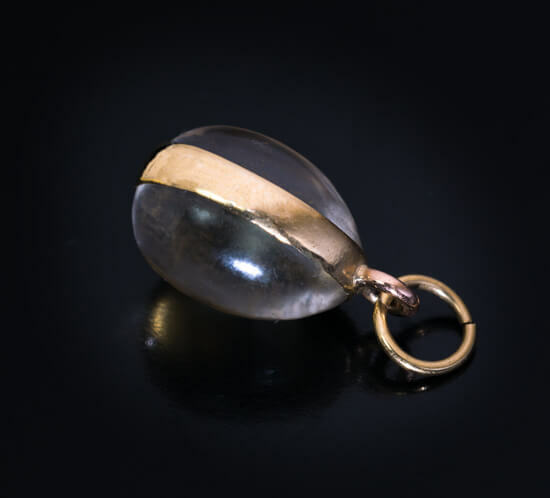 A very rare and highly unusual (the first we have ever seen) Russian Tsarist era reverse crystal intaglio egg pendant. 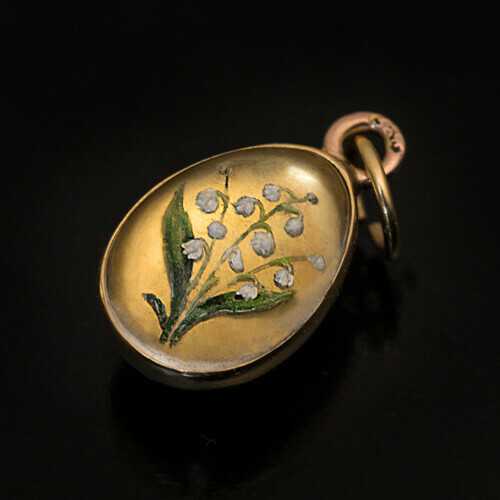 The egg consists of two halves of rock crystal cabochons set in a gold bezel. 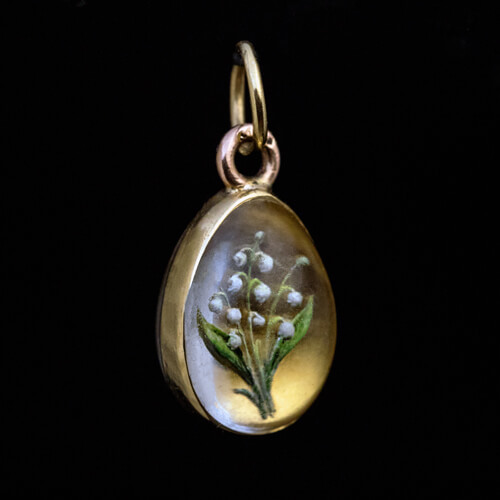 One crystal cabochon is carved with a lily of the valley into its back. 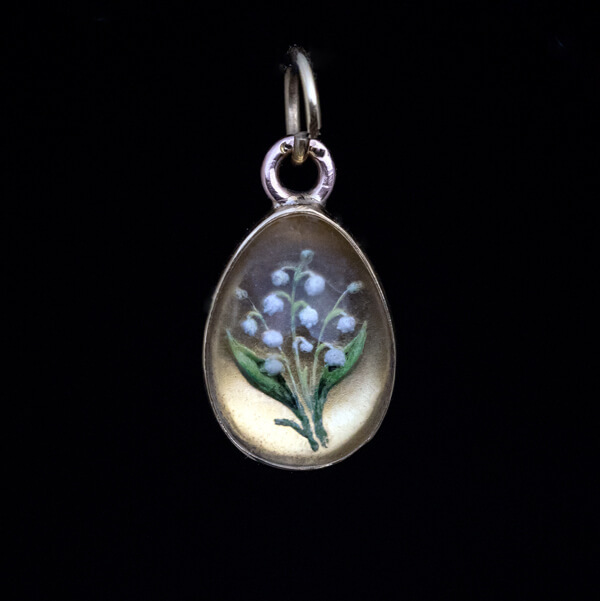 The carved flower is painted with enamel. This technique gives a three-dimensional effect. The carved intaglio is sealed with a gold foil. The back of the foil is engraved and enameled with abbreviation ‘XB’ which stands for Christ is Risen. 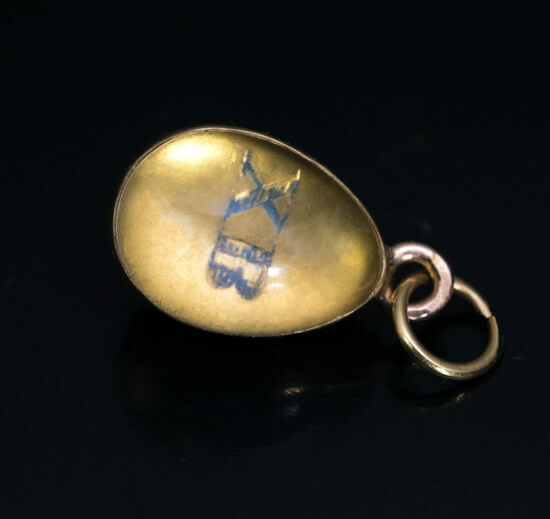 The egg is marked on the smaller ring with 56 zolotnik old Russian gold standard and St. Petersburg assay mark.